How do I change the IP address of my DIR-857? How do I change the IP address of my DIR‑857? If your existing network already works on the same IP range, you can alter the DIR-857’s IP address to a different range. 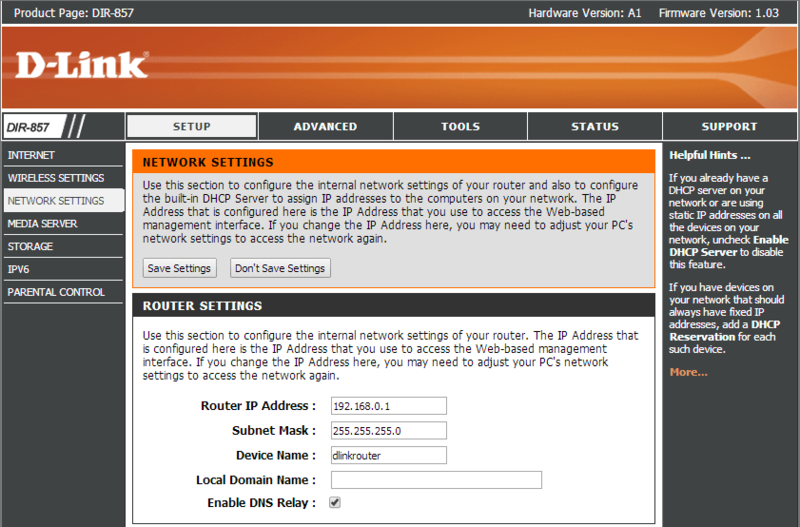 Step 3 – Click the “Setup” tab on the top menu, then “Network Settings” on the left hand menu. Here you can enter the new IP address (and subnet mask if necessary) for your DIR-857. Step 4 – Once you have made the changes scroll down and click “Save” to sabe the settings. You may then need to alter the settings of your computer in order to reconnect using the new IP address.